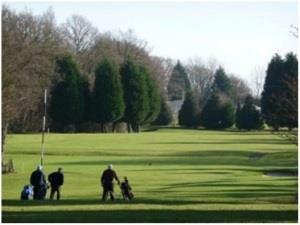 Horam Park Golf Club01435 813477work Golf - 18 holeHoram Park is in the finest golfing traditions a true hidden gem. A delightful parkland course that will bring a smile to the face of all who play here. Horam has a fifteen bay all weather, floodlit driving range, a five hole pitch and putt course and putting green. Horam Park is in the finest golfing traditions a true hidden gem. Our clubhouse, pro-shop, restaurant and bar are all open to the public. £20 for 18 holes and lunch. Twilight golf starts every weekday from 4pm and this means you pay £12 and have as many holes as you like until 9pm when we shut. Our driving range is still open but it has been restricted to enable the work to take place. The drving range is now £1 instead of £3 while the work is ongoing.